Looking for the best diesel worksite generators? Find what you need at My Generator. We stock diesel generators packed with features and specs that fit worksite requirements and are Worksite Approved. Generators in the Diesel Worksite Approved Range come with Earth Leakage Protection, Weatherproof Outlets and a Rollover Frame. These inclusions are necessary safety features for work sites in Australia. Due to the fuel type, diesel generators are considered safer than their petrol equivalents and may be a prerequisite on some job sites. Diesel generators are also renowned for lasting longer than their petrol counterparts in general, as well as being more fuel efficient. 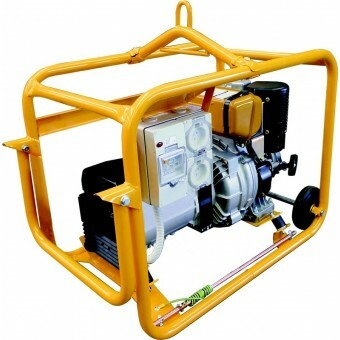 Many of the diesel worksite generators also offer additional extras that are handy for a worksite, such as lifting bar, lifting handle and pneumatic wheels. When it comes to diesel worksite generators, Crommelins has the job covered. 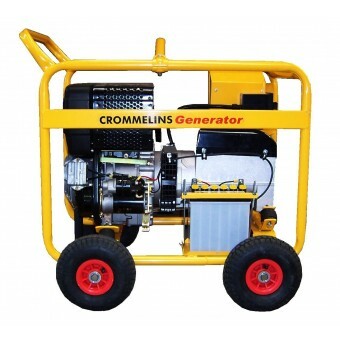 We stock a range of Crommelins Diesel Worksite Approved generators, that can be used for the hire and mining industry, and small to medium jobs powering tools, equipment and lights.